Our family does not need an excuse to eat Mexican Dishes, it is our go to meal since Tacos especially are super quick and easy and everyone loves them. I thought I would share some amazing Mexican Recipes I found from other bloggers that are sure to join our rotation. I better start planning our Cinco De Mayo Dinner I am sure the kids are going to be asking soon. Also don’t forget to add your favorite mexican recipes in the comments below and I might add them to the list too!! Adios! Crock Pot recipes are key for busy weeknights. 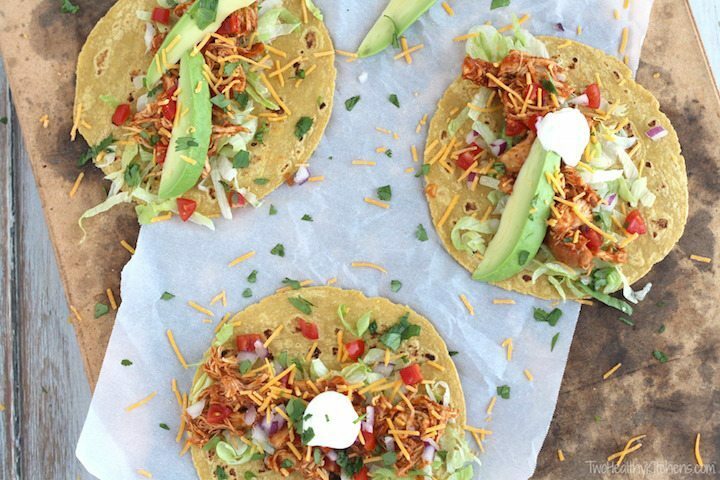 Loving this 3 ingredient Crock Pot Chicken taco recipe from Two Healthy Kitchens. Another great slow cooker recipe comes from Home Made Interest. Slow Cooker Beef Taquitos. Don’t buy these in the frozen section when you can make them hat home so easily. 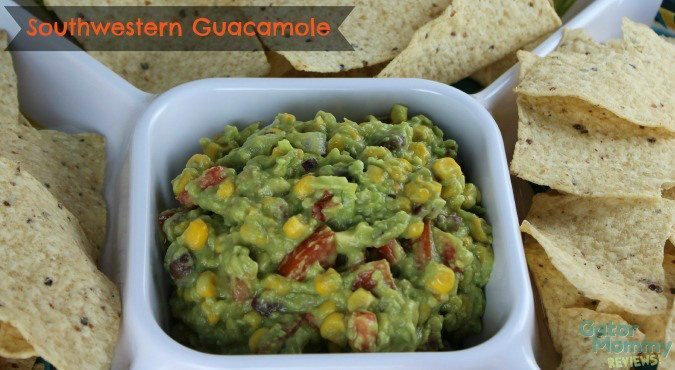 Every good Cinco De Mayo meal must start with some Southwestern Guacamole. Love this one from Gator Mommy Reviews. Don’t forget the Salsa, a true companion to any Mexican Recipe. Have you tried Pineapple, blueberry or even Peach salsa before? Don’t you love double duty meals. This Mexican Lasagna Recipe makes 2 casseroles so you can make one for Cinco De Mayo and have another one for another night. Or surprise a friend with dinner. 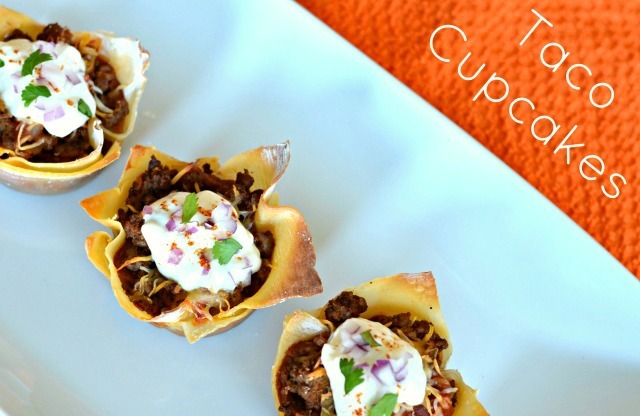 Take Taco in a new direction with these Taco Cupcake Recipes from Texas Type A Mom. A new twist to this Mexican Recipes. Tres Leche Cake is a great Mexican Recipes Dessert Idea but if you prefer cookies Snappy Gourmet has these Mexican Hot Chocolate Sandwich Cookies Recipe. « Do you Suffer from Sleep Deprivation? I love Mexican dishes! Those cookies look amazing. I’ll have to try some of these! Mexican food is my family’s favorite cuisine. Tacos, fajitas, burritos, tostadas–we love it all. I’ll be trying all of these recipes and enjoy them year-round! Oh thanks for this! We are going to visit my aunt in Florida for Cinco de Mayo and I could definitely use some great new recipes! I lived in the Southwest for many years and I love Mexican Food. There are some really great recipes here! Great recipes there. That salsa sounds awesome. 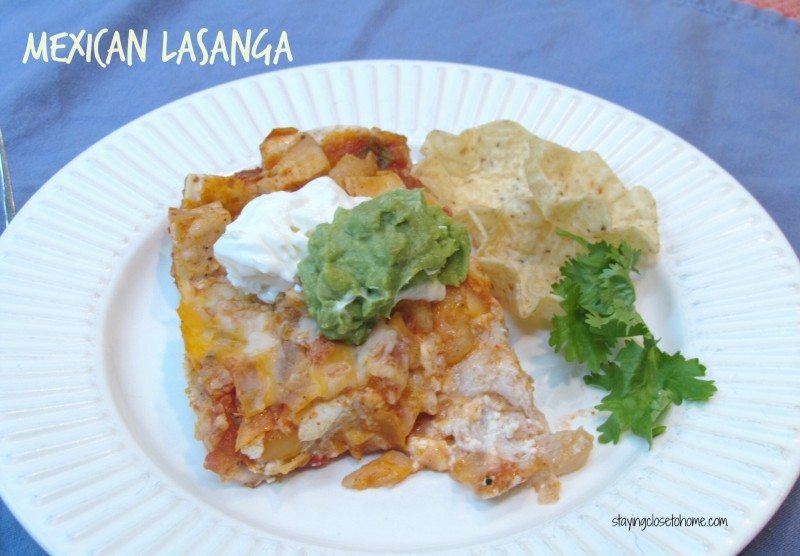 I would love to have a slice of Mexican lasagna! Yum! I’m bookmarking this page so I can come back and try a few of these recipes. My husband and I love Mexican food. It us usually inexpensive to make too. Thanks for the roundup! I love a good Mexican dish! I love nachos and tacquitos!! This sounds so good! Oh wow you’ve found some great recipes here! 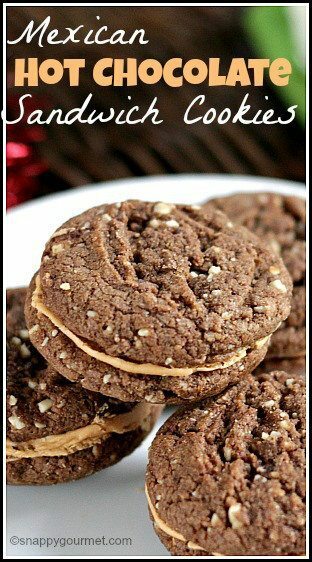 I love Mexican food but my favorite has got to be the Mexican Hot Chocolate Cookies! Yum! Lately I’ve begun a crazy addiction to guacamole! I’m going to have to try this recipe out soon! Those taco cupcakes look like such a fun snack! I need to make them ASAP. Oh yum, I’ve always been fond of Mexican food. Anything with jalapenos or chiles is welcome over here! These recipes all sound so good. 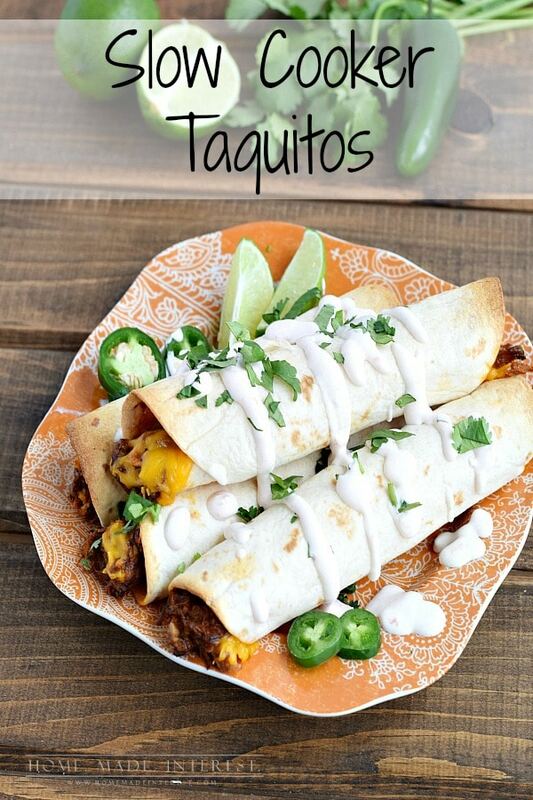 I want to try the taquitos recipe on Cinco de Mayo! Yum what great recipes. Our family loves Mexican food, I need to learn how to make something other than burritos and tacos. I really love Mexican food. Thanks for the great ideas! Those taco cupcakes look amazing! I used to make something similar and then completely forgot about it! My kids love Taco Tuesday! I am making tacos for Cinco De Mayo! Wow, can’t wait to try these. We live in Southern California and eat a lot of Mexican food!